Prayer is simply communication with God. But this isn’t just any communication. This is our creator, the Almighty God we’re addressing. Let’s face it, talking to an omnipotent, omniscient and omnipresent God requires some faith. The good news is, God has seen to it that we each are given the gift of faith. Today's Highlighted Post. Click the link below to read this post in its entirety. Interview with Beckie Lindsey, of the Christian Poets and Writer Group. 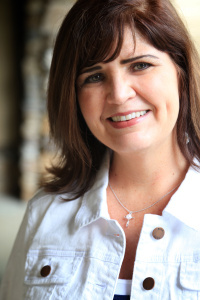 Mrs. Beckie Lindsey, gives us a authentic and inspiring look at her "Write Life". Keeping the main thing, the main thing, Beckie is diligently working the gifts and talents that God has given her. This beautiful lady, has certainly chosen to expand the aptness of writing, oeuvre. Beckie, is currently working on several writing projects that have very promising success for the future. She begins this interview by explaining some of these compositions. I just finished co-writing a Bible study on the book of 2 Timothy called Legacy. One of the co-authors, Patty Schell (also a member of our FB page) and I just returned from The Blue Ridge Mountains Christian Writers Conference where we met with an acquisitions editor. We are hopeful to see the Legacy study published. At this point, over 60 women have done the study with positive feedback. Prayers for publication are welcomed! I have also finished the first draft of a YA novel called Beauties From Ashes. “Every girl has a secret she hopes the light will never find—but the demons already have.” I’ll be doing edits and rewrites for the next few months on this project. Tell us about your published work. My published work has been my freelance writing for children’s magazines, websites and my local newspaper. You can see a few samples on my LinkedIn. Everything in God’s creation inspires me to write. I also love to read and watch movies which inspires my writing. My writing is God inspired. It is my goal to bring Him glory in whatever I write, whether directly or indirectly. I am passionate about Bible study as the key to knowing God intimately His word is alive bringing healing and transformation to all who are willing to engage. Does anything ever discourage you from writing? I’ve wrestled with depression since I was a teen. It can creep up on me like a storm cloud and threaten with all sorts of negative thoughts. A big issue for me is comparing my writing with others and feeling I fall short. I’ve come to realize that comparison is a stumbling block to many writers. God is teaching me to compare myself to His standards alone and to trust the call He has for me. Do you use social networks to interact online with other Christian poets, writers, editors, or publishers? This is the predominate way I encourage other writers as well as receive encouragement and writing tips. Our Facebook page is an example of a network of writers who spur one another on. I have also used social media to learn about and attain writing opportunities for magazines, websites and contests. What helpful suggestions or encouragement would you like to offer other Christian poets or writers? Writing can be an isolated and lonely vocation. As writers, we need solitude to produce our work, however, we need interaction with the world in order to fodder our gift. Here are a few things that help me: Spend daily time with God, writer’s groups (in person and online) critique groups, go outside everyday if possible, make a writing schedule and stick to it, take a Sabbath day once a week, limit social media time to 30-45 minutes daily, take classes, go to conferences, enter contests, and read, read, read, read. I'm very sure many of us writers can identify with, the comparison of others, Beckie. You have certainly given Christian Poets and Writer some very helpful and encouraging advice to stay the course. So very good to know that you have connected with other members of the group to bring about a connection of faithfulness and unity, concerning writing and publishing. May the Lord continue to bless the works of your hands and most importantly, the encouragement that you give to the Body of Christ. For more information and how you can connect with, Beckie. Prayer, a beautiful commune between man and God. Prayer, gives us peace of mind, solace and hope. Whatever the need, as we pray and stand in agreement with others, may our petitions of prayer be a sweet aroma to our Lord, All Mighty. Lord, hear our prayers. Please click the link below to read this post in its entirety. Talk about keeping it real. This read unravels the fallacies that we portray, the masks that we sometimes wear. reveals the pontificating that goes along with our imperfections and all the madness and mayhem. Exposing our Source. The very Source that is able to remove the fig leaves, inadequacies and bring about true identity in Him, making all things well! Please take time to read this one. It won't disappoint. Click the link below to read this post in its entirety. It is in, God that we live and move and have our being. The Great Physician, Jesus Christ is ever ready to heal us. Remove those things that are not like Him. Giving us a renew life, filled with divine intervention and purity. May this read bless you, as it was written with an excellent spirit of love toward God. Click the link below to read the post in its entirety. God is our Abba Father. We need not to be afraid to go before Him with any petition of prayer or request. According to His will, He will answer, deliver us and set us free. Let us rest in this assurance. We are children of the most High God, we are privileged! Thanks Bruce Sims for this beautiful reminder. Please click the link below to read the full post. Facts, Truth and Conversation with God is the Topic of Discussion in the beautifully written post by Marla Y. O'Neill. This read is sure to inspire and motivate you to continue reading and studying God's Word with perservance and cheerful spirit. Thanks Marla! Labels: biblical perspective, Truth, why read the Bible? HOW WILL YOU VIEW YOUR LIFE? There comes when we all will step back and do a thorough inventory of our lives. When this time occurs, I encourage all to stay of good cheer. Always looking to the Author and Finisher of our Faith. Caught up in the Act? Holiness is the topic of discussion in this read. God desires us to Holy unto Him. Always abiding in His Good Will and Purpose for our lives. An inspirational and encouraging read to aspire to. Thanks for sharing Moses! Mr. Paul Phillips, as a active member of the Christian Poets and Writers Facebook Group, you bring a unique and refreshing presence and style of writing to peruse. Today, I'm most delighted to have this opportunity to interview you in regards to your "Write Life". Of course, the overriding impetus to write comes from my faith in God, but I often think of both my parents when I’m considering the reason I do it. My mother wanted a preacher in the family, but being called to minister in other ways, I’ve used my writing to teach God’s truths in a way that she would have loved. Mom never really knew I was writing, since I started after she began to succumb to Alzheimer’s a few years before she passed away. In the same way my father, who is a pastor, helps to keep me motivated and thinking about the life lessons God is teaching each day I serve Him. Dad’s preaching style is much like my way of writing, using stories to illustrate Biblical truths. You might say, I learned at his feet. I began to write for one reason, but in the process, realized that I had to accomplish more. The understanding that we as a people are losing our stories in the noise and overwhelming confusion of professional entertainment (television, radio, Internet, social media, etc.) drove me to begin setting down personal experiences. But then, the preacher’s kid in me couldn’t leave the stories alone without including a little bit of a moral being added. Nowadays, I still tell the stories, but the lessons are even more important. The stories will become outdated and die over time, but God’s truth will never get old. Often. There are evenings (I always write late at night) when I sit at my keyboard for hours and nothing comes. Nothing is more discouraging to me than sitting down with the intent to write and getting up again, hours later, with not a single word on the page. There are also times when I do write that no response comes from my readers, and I wonder if I’ve missed the mark. I can’t recall the number of times I’ve told the Lovely Lady (my beautiful wife, Paula) that I think I’m done with writing. It feels like that sometimes, but the Lord always refreshes and opens the tap again. Does the Bible influence your work as a writer? Absolutely! It is impossible to separate the spiritual and the physical. From my earliest memories, I have read the Bible, and its truths have impacted my life direction fundamentally. When I write, even though I may not include references every time, there is a thread of the Word woven in with my words. I hope readers are able to keep His truths and toss out my fallacies. In what ways do you hope your writing will help to unify or strengthen the Church Body of Christ? Initially, I hoped only to relate history—stories of the past—in my writing. As I’ve changed and, hopefully, grown as a writer, so have my goals. The realization, although it won’t be news to most, that we share common joys and trials, gives impetus to be transparent and consistent in sharing His message. To know that others are going through the same things encourages and strengthens our resolve. At least, I know it does mine. Facebook has played a big part. To be able to interact with folks from miles away, and from all walks of life, has been a great advantage. The Christian Poets and Writers group is wonderful, encouraging and uplifting—praying for each other when tough times have come. I haven’t yet mastered the other media, but I’m learning (from mistakes, often) and expanding. Old dogs can learn new tricks; it just takes us a lot longer to catch up! It’s easy to become discouraged and stagnant. Keep writing. Don’t give up! Hard times come and the words won’t. Wait on God. Don’t give up! He has plans for you. Even though they may not apply directly, since they were directed to John, I love the words in Revelation 1: “Write down the things that you have seen, and the things that are, and the things that will happen after this.” It’s a great model for me as a writer. And what an excellent model to glean and replicate from as a writer! Paul you have certainly given us readers a sincere and meritorious insight of your write life. Your writings have certainly been an inspiration to me, pushing me to reach a higher plateau in literary demand and I'm confident, many others have been blessed as well. Your mother would be so very proud! May the Lord continue to bless the works of your hands. As we walk out our Salvation with fear and trembling, may we put on the mind of Christ. Having all sufficiency in Him and God's will for our lives. This read will provoke each reader to examine their walk with God for the goodness of the Kingdom! What an encouraging read for the Body of Christ. Ever reminding us that we a chosen people, a royal priesthood. I highly recommend reading this post! Is God calling you to a higher plateau? Has God spoken to you and given you clear direction in which to take? This read will give you a clear picture in which God desires to lead you. Check it out! DO YOU KNOW HOW TO PROTECT YOUR FAITH? How to protect you Faith. Yes! Beckie Lindsey give us an excellent outline of how we who walk in Faith can protect that which has been graciously given to us by God Almighty. A must read! Karen (Girl) Friday, I want to take a moment to thank you for your acceptance of this interview. So very excited to have this time to get to know you a little better, including your "Write Life." You have been such an inspiration to the Christian Poets and Writer Facebook Group. Ever since the first post I had the pleasure to prose of yours, I knew you had a unique gifting to bring exhortation to the Body of Christ. 1. What writing project are you working on now? A devotional book, I’m Being Followed. A personal story of being watched and followed inspired this theme of God’s intentional pursuit, sending Goodness and Mercy to follow believers all the days of our lives. 2. Tell us about your published work. • Original devotions published with Christian Devotions online, 2014-2016. • Monthly writer for Inspire a Fire National blog. • Other guests post with various national blogs and websites. 3. Who or what inspires your writing? As long as I can remember, I’ve been a lover of words. And I love God’s Word. My tagline—Expressing scriptural truths as life happens. Real. Authentic. Soulful. 4. Who or what encouraged you to write? As a pastor’s wife and women’s ministry leader, I shared my devotions and Bible Studies with others who confirmed the calling. Many encouraged me to consider putting my thoughts and insight “out there” in the writing world. 5. What experiences or education helped to prepare you? I earned a communications degree and have always had a love for speaking. Starting with oratorical contests in the fourth grade (yes, way back). Communicating God’s truth is a pleasure for me. Since I penned my own talks, Bible Studies, and devotions, I felt a calling to share them with others in the publishing industry. My passion for mentoring other disciples and writing from my raw emotions and real life experiences is the place I thrive. 6. Do you see your writing as a gift or calling? I see it as both. Relish in this Scripture, “For the gifts and the calling of God are irrevocable.” (Romans 11:29, ESV.) One of the meanings for irrevocable—cannot be changed or reversed. As followers of Christ, God’s calling on our lives and the gifts He places within us are irreversible. We cannot undo them. The Message Translation of Romans 11:29 states, “God’s gifts and God’s call are under full warranty—never canceled, never rescinded.” God is in the full warranty business. Eternal life is under full warranty. Heaven is a full warranty contract. Being "in" Christ comes under full warranty. His gifts and callings in our lives—under full warranty. Whatever God has called us to cannot be undone. This includes writing. It’s my hope these thoughts from Romans 11 will encourage other writers on their journey. 7. What do you hope to accomplish in your writing? • Connecting real life experiences to the timeless truths of Scripture. • Making God known and giving believers an avenue to know Him more. • To bring people to the cross of Calvary. • To be a messenger that God is real and He releases people from captivity. • To share my story of God’s powerful love and grace, proving His existence. Thank you Karen for sharing in this interview. It is apparent that the Call on your life has been taken very seriously and you have gracefully made your call an election sure. Reaching the masses to bring encouragement, edification and the Gospel of Jesus Christ to all that opened their hearts to receive. I articles and reads have definitely been inspiration to my life and I thank you for your obedience to follow through. God bless you in all your ways. God desires for us to commune with him daily. In doing so, we can continually be connected with the Father, thus experiencing His Grace, Mercy and Righteousness. This read gives wonderful encouragement to those who desire God's Absolute Righteousness. Thanks Mary Harwell Sayler for sharing. Need some inspiration and encouragement, you will get just that with this read and a twist of wholesome humor too Check it out! Thanks Paul Phillips for sharing this great read. How wonderful it is to greet someone. It's nice to be nice. This read will give fill you with gladness and make your heart smile. Be encouraged! Being silent before the Lord gives one divine wisdom, knowledge and understanding. May we all take time out to hear God's voice as we sit still and know that the Lord is thy God. Thanks Lori for sharing. Paul Bane gives us graceful encouragement for today. Peaceful and Serene is this beautiful read. Beautiful and Graceful. This is Poetry at its finest! Be blessed as you peruse this poem. God Bless! Need some uplifting and encouragement, April Yamasaki graces us with the wonderful read. Be Inspired! My second book, Make it Rain: Building a Faith God Blesses. It is Inspirational non-fiction and it has encouraging stories and studies the book of James. Tell us about your published work? I have over 200 articles published. My first novel was just released in March 2016. It is titled The Rise of the Prophet. A story of biblical miracles in a different land. The hero has the strength of Samson. It is the first of a trilogy. Max Lucado. My non-fiction writing tries to be like his. I love encouraging Christians. I’m just convinced that believers need up-lifting. We live in a discouraging, angry world and we are so divided. Who or what encouraged you to write? My sweet wife, Brenda. She saw how I talked and came alive in writing. She has always been an encourager to me. Several years ago, but I didn’t know how. It has been a dream of mine, but it took finally focusing on learning the craft. What experiences or education helped to prepare you? I went back to school at 52 to complete a BA in English and Creative Writing from Southern New Hampshire University. I started writing some sports articles, but I really love books. That is where my heart is. I think a calling. Gift may imply that I’m good at it. I think a calling is a desire to fulfill it and that’s what I believe it is. Encourage others. I hope something I write inspires a marriage to stay strong, a husband to love his wife, or a pastor to stay faithful in the ministry. But I would like to write a lot of books too! Negative people. For some reason more and more people attack each other on social media. You can write an encouraging blog post and someone will criticize you. I just don’t get it. Anything Max Lucado. I love reading inspirational books and stories. Yes, most definitely. The bible has so many life lessons and great stories it is easy to use a verse and launch into something to write about. I want to encourage the church to seek revival. We need to be united now more than ever. Without revival, I fear the church and this nation will continue to decline. Have you found the Internet helpful in reaching others for Christ? Yes. We have so much information to get out very quickly now. A blogger can get their post to a wide audience today. Encouraging words can spread to thousands of people. How can readers find your work online? Yes. They certainly are an exciting tool today. Write what you love. I know that sounds simple, but no matter how long it takes, you will never be happy until that is what you are doing. Mike Mobley gives us a clear and concise depiction of Proverbs 16 in this article. Thanks Mike, this will bless many that aspire to read!